Back around June, Google came up with a new way to highlight the company's favorite Android games and apps. Called the Android Excellence program, the initiative formed a collection of curated programs that delivered top-tier Android experiences based on Google's self-defined "best practices," which promotes apps that "have great design, technical performance, localization, and device optimization." 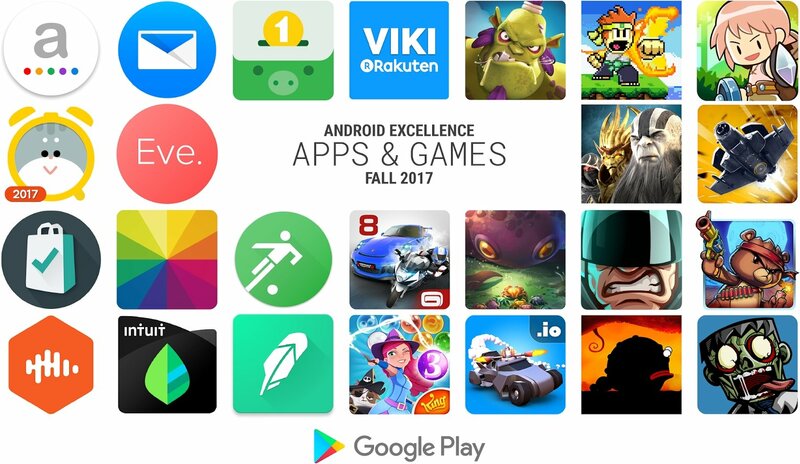 Unlike other collections, the Android Excellence collection would be changed each quarter, and now that Fall has arrived, Android users can check out all of the newest games and apps featured in the Fall collection. Though the games and apps listed aren't necessarily new, they are considered by Google to be the best available. Unsurprisingly, many of the company's choices will be immediately familiar -- the Android Excellence Apps collection features Fotor Photo Editor, Viki, Mint, Castbox, and others, while the Android Excellence Games collection features titles like Bubble Witch 3 Saga, Dawn of Titans, Crab War, Dream Defense, Iron Marines, and Transformers: Forged to Fight. It's worth mentioning that not all of these apps and games are free, but the majority of them have been created by well-known developers, and many others feature download counts in the tens of millions. So, for all of the Android owners who would like to check out new apps, or even for those with a new Android device looking to deck out their phone or tablet with the greatest games the platform has seen, Google's Android Excellence Fall collection can be considered a one-stop shop. Users can browse Google's carefully-curated selection of games and apps by using the links featured above, or by heading over to the Google Play Store and finding the Android Excellence subsection through the familiar Editor's Choice listing. Looking for even more Android gaming excellence? Head over to our list of the Best Android Games, where we've featured our favorite titles for Google's open mobile operating system.